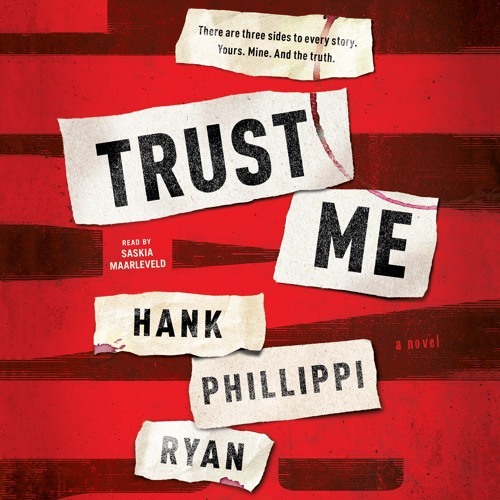 Listen to an excerpt of Hank Phillippi Ryan's TRUST ME audiobook, read by Saskia Maarleveld. This program includes a bonus interview with the author. "Grief and deception are at the helm of Hank Phillippi Ryan’s latest thriller, Trust Me, in which a crime writer and an accused criminal’s lives collide, as they come to discover that no one can be trusted, not even oneself." (Mary Kubica, New York Times best-selling author of The Good Girl) Trust Me is the chilling stand-alone audiobook of psychological suspense and manipulation that award-winning author and renowned investigative reporter Hank Phillippi Ryan was born to write. An accused killer insists she's innocent of a heinous murder. A grieving journalist surfaces from the wreckage of her shattered life. Their unlikely alliance leads to a dangerous cat-and-mouse game that will leave you breathless. Who can you trust when you can't trust yourself?